The Peugeot production will be increased because of the growth of demand for its 308 models. Today the French auto manufacturer said that is planned to increase production of the Peugeot 308 because the growing of demand for this model. Recently, there were about 60,000 orders registered there. 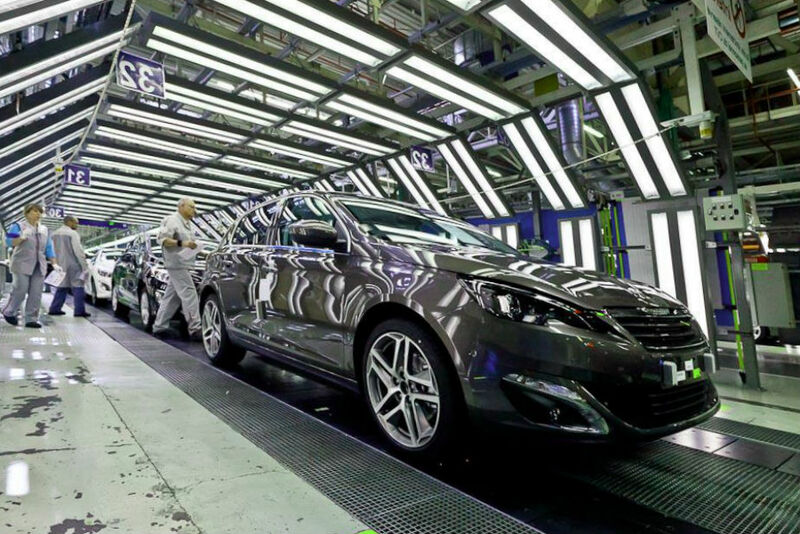 To boost launching, the PSA carmaker plans to organize a new night working shift in the Sochaux plant where to give about 600 new jobs and hire nearby 450 workers according to temporary contracts as well. The additional shift allows increasing vehicle production to over 1,500 cars per day. Currently the Sochaux plant launches Peugeot 3008, 508 and 308 as well as the DS5 of Citroen –the Peugeot’s sister brand. This hiring will help the auto manufacturer to improve jobs situation in France. As we may remember, last year the PSA maker had to close the plant in Aulnay to discharge about 1,200 jobsites. By the way, recently at the Geneva auto show, which took place in the beginning of March, the updated Peugeot 308 was awarded as the best Europe car of the Year. We will get more information when the plant starts working with renewed production capacity and the first cars are launched there.